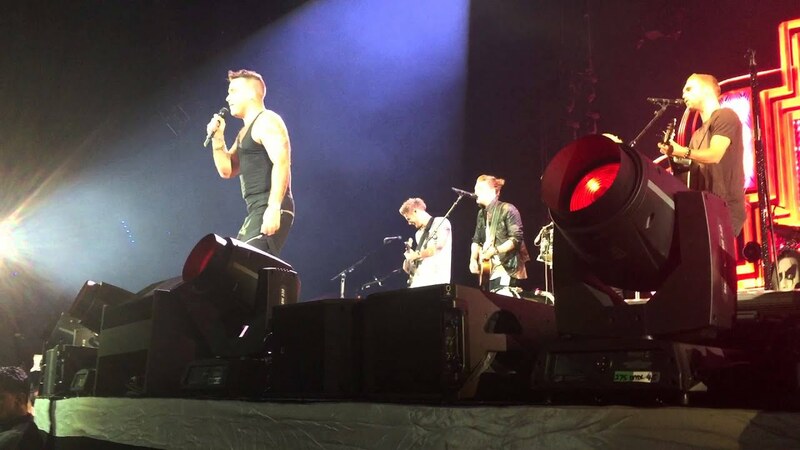 Brit band Lawson have been bonding with Robbie Williams on his Australian tour - after he invited the group up on stage to perform Back For Good with him. They're supporting him down under at the moment and have found that they have a mutual interest in playing FIFA and discussing life on other planets. Lawson singer Andy Brown told The Daily Star: ”It's been amazing - we met Robbie in Perth and its been brilliant from day one. "He is so laidback and he doesn’t drink, like me – we’re buddies as we’re both teetotal, so we play Fifa together and talk about footie. "Him and Ryan our bassist have a fascination with aliens so we sat up talking about aliens and UFOs on the first night."